Well, here you go! 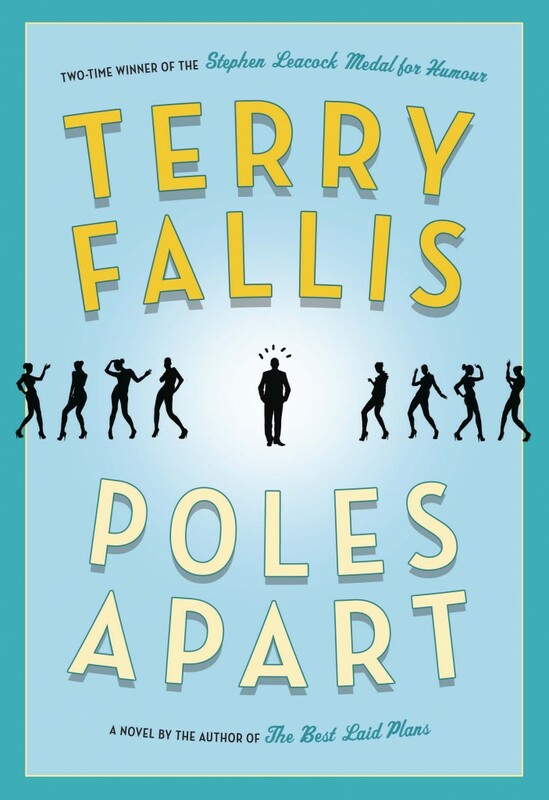 As promised, I’m proud to unveil the cover for my fifth novel, Poles Apart, due to hit bookstores on October 20th. I think the design team at Random House/McClelland & Stewart, led by Scott Richardson, have done a great job on the cover. It’s playful and cryptic, and captures the tone and fun of the book very well. My deep thanks to Scott and his crew. In my daily travels online I stumbled upon a very interesting three part video vignette on book design by Scott Richardson.Â He’s the awarding novelist and designer who is responsible for the way the eye-catching McClelland & Stewart edition of TBLP looks, inside and out.Â (In case you’re wondering, Random House owns a chunk of M&S and that’s why Scott designed TBLP.) I learned more about book design by watching these three clips than I’ve ever known about this complex and creative field. Admittedly, I was not very far up the learning curve to begin with! In the first clip, Scott Richardson discusses the evolution of book design from 1100sÂ to the present.Â Fascinating. In the second clip, Scott talks about the interior design of the book including typeface and the all-important “grid” that dictates how the pages are used. Finally, in the third clip, Scott explores the myths and considerations the govern cover design. If you’re passionate about books, I can’t imagine watching these video clips and not finding it all illuminating and interesting. I’ll now be looking at books through a slightly more informed set of eyes. Thank you Scott for your wonderful design for TBLP and for your insights on creating a memorable look for books.